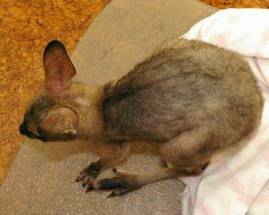 The Parma wallaby is greyish-brown on the back and shoulders with a dark stripe along the spine ending in the middle of it's back.It has a white stripe on the cheek and upper lip with white fur on the abdomen and cloaca. 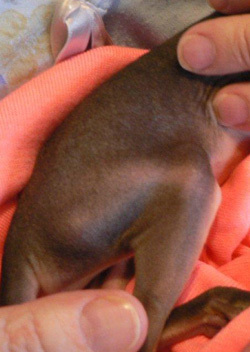 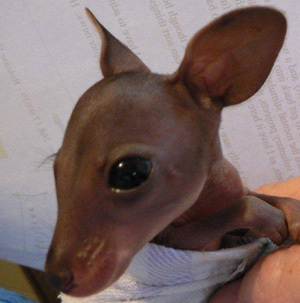 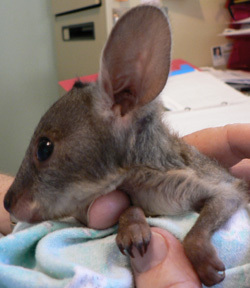 It looks very much like a small version of the Red-necked wallaby, but can be distinguished by what looks like swelling around the eyes. 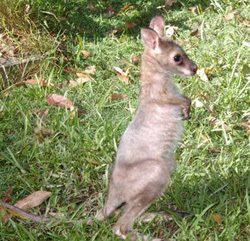 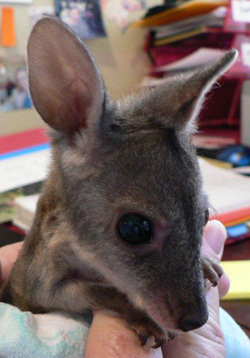 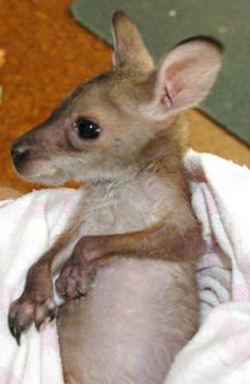 The Parma wallaby adult weight is 6 kg for males and 5 kg for females. 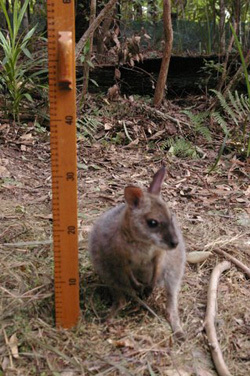 Head and body length is 45-53 cm with a tail 40-55cm long. 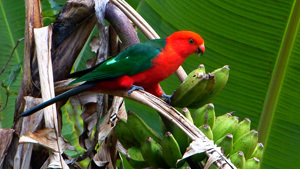 Males become sexually mature at 12 months of age, females at 24 months. 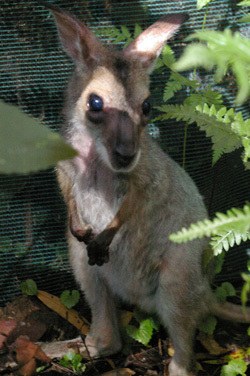 The Parma wallaby sleep and hide in the shelter of dense vegetation during the day. 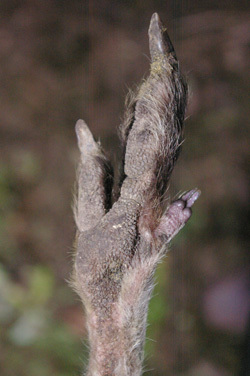 When hopping it, remains close to the ground in an almost horizontal position with the forearms tucked tightly against the body and the tail curved upwards in a shallow U-shape. 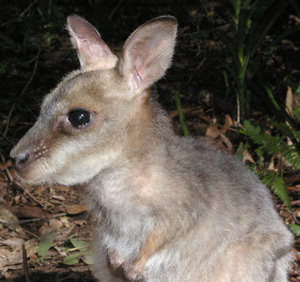 Typically feed at night on grasses and herbs in more open eucalypt forest and the edges of nearby grassy areas. 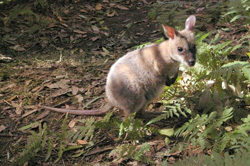 Solitary but may congregate at night whilst feeding..
Main threat to this beautiful animal is habitat loss due to clearing; predation by dogs, cats, foxes, and motor vehicle collision.